Despite there aren't any confessions of homosexual mercenaries one finds traces in court records, and even though one can discover accounts by mercenaries, they are of course always about others. Nevertheless, there is enough evidence to see that, although often concealed, homosexuality runs like a golden thread through the history of mercenaries. The Rebellion of Carthage's Mercenaries. Knightly deeds in a dirty little war. An aftermath of the Hundred Years War. The Conquest of the Songhai Empire. Slaves for fourpence a day. The hunt for runaway slaves and the suppression of smaller revolts make for trivial and sordid stories. Great armies were not moved for such inconsequentialities and these events are normally relegated to footnotes by miltary historians. 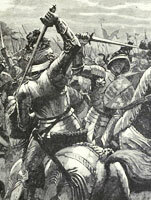 Nevertheless, these fights settled the fate of many mercenaries. A very vivid account of these small wars was provided by the Scottish mercenary John Gabriel Stedman. The Polish Legion in Haiti. To gain the freedom of their own country more than 5,000 Poles formed a "Polish Legion" and fought for Napoleon. Soon the Legion proved its value in grueling battles against Austrians and Russians in Italy and Switzerland. But the real policies of those in power, as so often, served other interests and used other means. For the conflict with his most stubborn opponent, Great Britain, Napoleon needed a compromise with Russia and Austria and here the wishes of the Poles were naturally in the way. So he found a special task for them. The former freedom fighters would help to re-establish slavery in French Haiti. 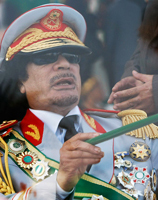 Sell-off and annihilation of the Foreign Legion. Much has been written about the performance of the Foreign Legion in the First Carlist War in Spain and some authors have spared no effort in glorifying it as truly heroic. But the writings of historian Douglas Porch and the memoirs of those involved draw quite a different picture. and the formation of the Ever Victorious Army. If western history books even mention the great war which devastated China in the mid-19th Century at all, it's euphemistically referred to as the "Taiping Rebellion". It was probably the bloodiest war that had afflicted humanity in its history before the 20th Century and it's estimated that the Taiping Rebellion cost the lives of 15-20 million people and left more than half of the country's one thousand prospering cities in charred ruins. The man who was "Colonel Kurtz". In Francis Ford Coppola's film "Apocalypse Now", the CIA sent Captain Willard far over the border from Vietnam to secretly dispatch a highly decorated Special Forces officer who had gone mad. 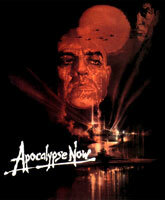 The role that Joseph Conrad's "Heart of Darkness" played in the creation of this Colonel Kurtz is well known, but there are other, more recent references too. The real reason for transplanting the mad Kurtz from the Congo to the no-man's land beyond Vietnam can be found in the CIA's covert operations in Laos and Cambodia. 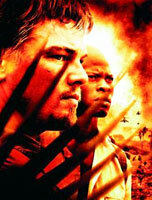 Many people who saw the movie "Blood Diamond" learned for the first time something about the terrible war in Sierra Leone and the trade in blood diamonds, but they were also confronted with a completely new type of mercenaries represented by a group which, if you hadn't already heard of them, you would soon be reading about in the reviews: Executive Outcomes.